New Zealand's Ross Harris (b. 1945) is a happy surprise of a composer for me. The Naxos (8.573532) CD at hand gives us poetic readings of his Violin Concerto and his Symphony No. 5, two expressionistic gems handled beautifully by the Auckland Philharmonia Orchestra under Gary Walker for the former and Eckehard Stier for the latter. 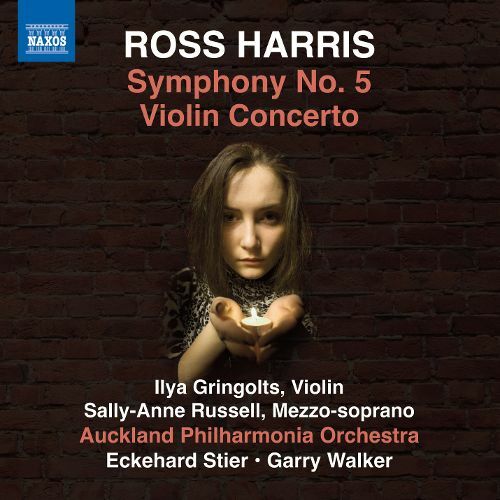 Ilya Gringolts sounds inspired in the solo violin role and mezzo-soprano Sally-Anne Russell is glowingly moody in the solo vocal part of the Symphony. Harris adroitly negotiates the terrain between tonality and atonality in both works. The Violin Concerto (2010) gives the soloist lyrical-mysterioso passages alternating with a bracing turbulence and the orchestra follows and expands the moods in ways that remind favorably of Berg's Concerto and its depth without in anyway mimicking it. The Symphony No. 5 (2013) sets three poems of Panni Palasti that recall her immersion in wartime Budapest during the Nazi siege there during WWII. Opening and closing adagios of austerely striking beauty frame directly communicating settings of the poems, which in turn are set off by two vividly depictive scherzos that portray wartime violence and horror. Harris is a composer of substantial orchestral nuance and freshly thematic substance. 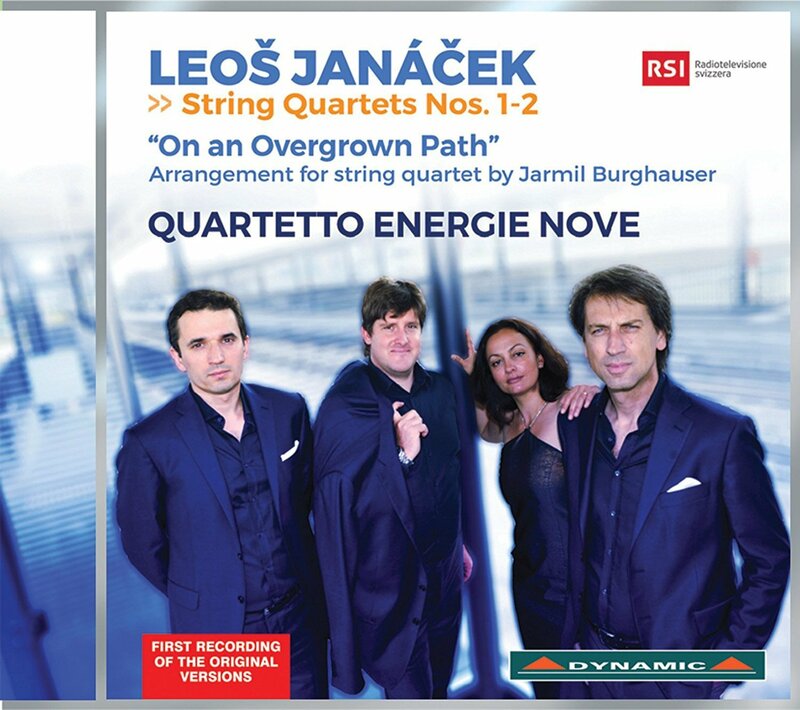 The two works paired in this release enjoy dramatically moving and crisp readings that set a high benchmark. Harris is a modernist of real stature! Highly recommended. The three albums recorded by Steve Reich for ECM beginning in 1978 can be said without exaggeration to have changed the face of modern music for good and all. Terry Riley's "In C" was a first masterpiece of the so-called minimalism in the late '60s. Reich had established himself as a major member of this school with the phase electronics compositions "Ain't Gonna Rain" and "Come Out," then began his gradual climb to instrumental profundity with such works as "Four Organs." By the time he had completed and recorded "Drumming" for DGG he had shown us all how via sound color and phasing and a kind of neo-African ethos he could create long works that held interest with exhilarating forms-in-motion as unprecedented as they were brilliant. All this sets the stage for Reich's extraordinarily fruitful involvement with the ECM label. 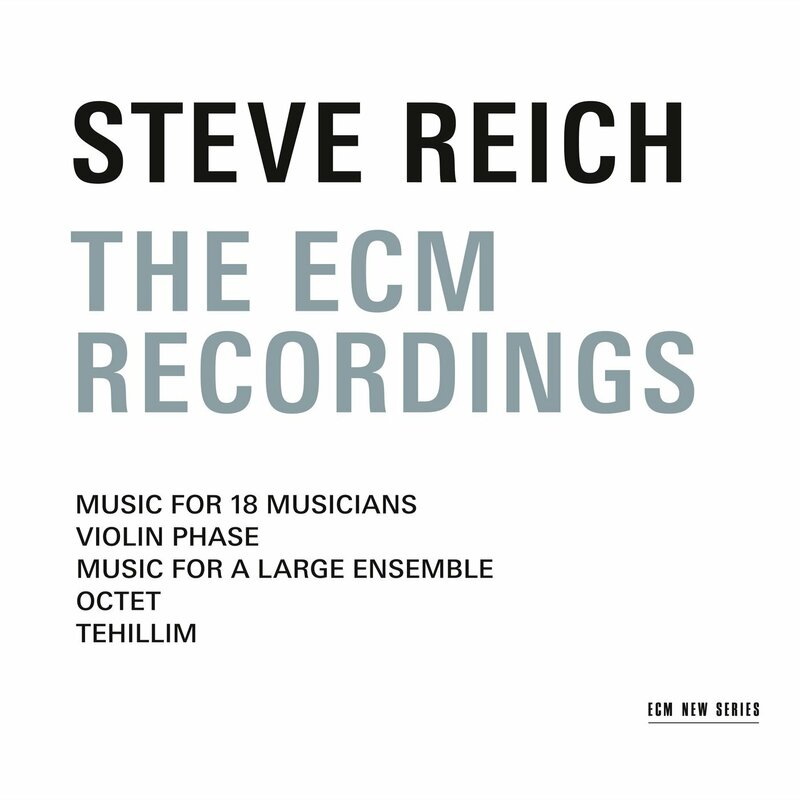 To honor Reich's 80th birthday year the three albums he made for ECM: The ECM Recordings (ECM New Series 2540-42), are available now as a special three-CD box set that includes an illuminating 43-page booklet with the original liners and a fine retrospective essay by Paul Griffiths. The first album for the label contained the landmark extended work "Music for 18 Musicians." It marked a breakthrough for Reich and for minimalism as well. Here was a doubled-sided, full length work that took Reich's neo-African, pan-world idea of extended rhythmic-melodic form and developed it with a sectional approach to interrelated, pulsating thematic counterpoint. 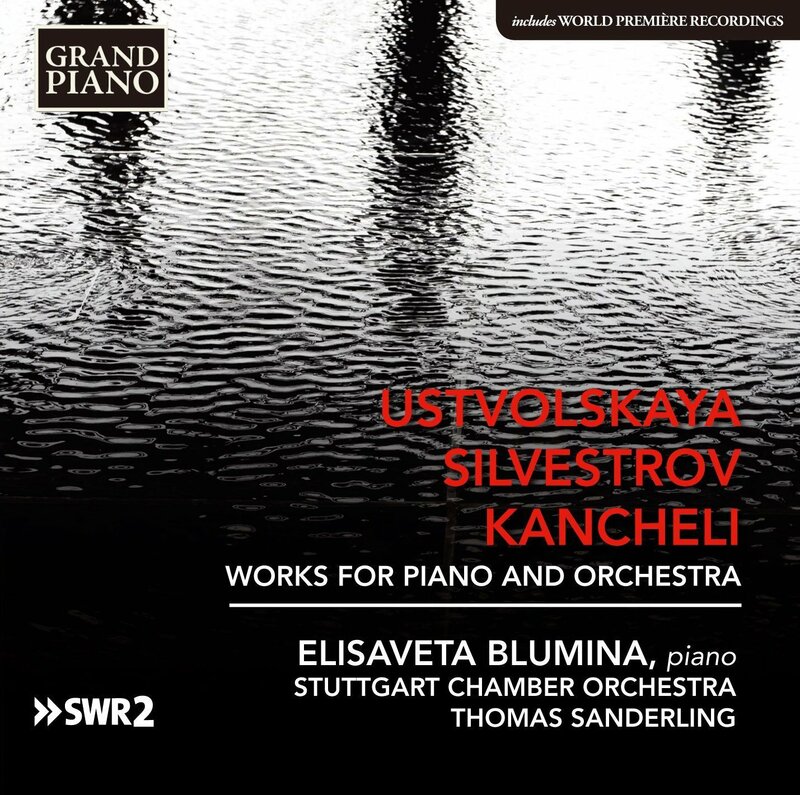 The part writing used extremely inventive melo-rhythmic cells, each with intrinsic interest that made their repetition seem desirable and as a shifting interlocking whole gave the listener a full-dimensional panorama of driving lyricism. Like Riley's "In C" the motifs sounded especially well together. Reich sequenced the whole to proceed to ever-altering motival combinatory stations, some in a line of logical-affective development and others marking the beginning of shifted new beginning points. He created new form out of modulating harmonic clouds hovering over foundational pedals in conjunction with urgently dynamic rhythmic sophistications, varying ensemble colors and melodic brilliance. Virtually anyone (like myself) who had been following minimalism to that point recognized and embraced the music as a fully satisfying way to proceed. Nothing was quite the same afterwards. Indeed the album, so the liners tell us, sold a brisk 100,000 copies, unheard of for such music at that point. And it established Reich for good as a major composer of our times, truly. The two albums that followed over the next several years on ECM continued along the lines of the brilliant first one. Octet - Music for a Large Ensemble - Violin Phase redid one of Reich's most compelling "phase" period works with Shem Guibbory holding forth spectacularly on multiple overdubbed violins. The other two works continued where "18" left off, crafting further period-oriented ensemble fireworks. For whatever reason, "Music for a Large Ensemble" has never been recorded again to date, and that makes this volume that much more essential. The third record, Tehillim, gave us Jewish liturgical minimal music as striking for its vocal writing as "18" was for its ensemble instrumental inventions. A vocal quartet engages in some of the most moving contrapuntal writing of our era, and a large ensemble reinforces and expands what they are doing for a music where repetition is utilized with through composed and song structured form for yet another kind of sound, yet another aspect of the Reich approach, equally brilliant and memorable. Of course there have been many great Reich works following this ECM period, but surely these three albums set the pace for all that came after. The performances have never been topped, though there have been some excellent versions of much of this music in the years that have followed. But on all counts, this set is essential. If you don't know so-called minimalism very well, get this set; if you don't know Reich well, get this; and anyone else who might not have the music...just get this! Essential, period. And an essential period. With to date more than 580 compositions completed, Gene Pritsker can certainly be said to be prolific. And yet none of the works I have had the pleasure to have heard sound formulaic or hasty. Quite the contrary. His music is new in the most important sense, filled with a contemporary, dynamic ethos and a meaningful synthesis of new music classical per se, a strain of neo-classical at times, plus the pronounced and creative influence of rock, jazz, soul and rap, depending upon the work at hand. I've covered quite few of his releases on these and related blog pages. 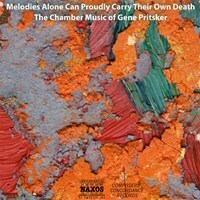 Today I am back with another goodie, Melodies Alone Can Proudly Carry Their Own Death, The Chamber Music of Gene Pritsker (Composers Concordance 0037). 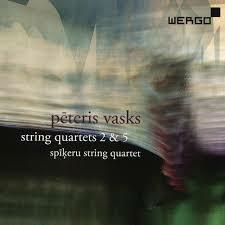 The album culls together eight distinguished short-to-somewhat-longer works in ever-varying configurations: solo violin, solo cello, bass clarinet and percussion, piano and drums, violin and cello, flute, clarinet and piano, and bass clarinet and electric guitar. In a way anything goes here but it goes in ways that stand out as fully Pritskeresque--finely constructed pieces with idiomatic part writing, stylistic multiplicity, rhythmic vitality and a recognizable Pritsker wholeness. Perhaps only Zappa before him has combined so much and so selectively, yet with such individual personality. We never feel, though, that we are looking back, as much as we are moving forward. Gene Pritsker is a composer of our times, and undeniably one of the most original, daring and satisfying. This chamber volume reminds us of that forcefully. Hear this and hear where we are now, one place at least! The world of Max Reger (1873-1916) is essentially multistylistic, which might explain why his music has gotten less attention in the years after his death. If one looks at the succession of styles as a kind of unilineal evolution on a line of progression to the most advanced and modern, as many did in the height of the first modern era per se, Reger does not easily fit. In his vast output, you can find works with a very chromatic approach, proto-modern, if you will. But then there are works which are more late romantic in their overall feel. Then there are works that look backward to Bach, especially in some of the unaccompanied string works, and/or have other neo-baroque elements. Finally these traits can and do overlap in any given work. Not everything is pure anything. In the age we live in now there are many composers that take a multifold approach. We no longer demand that purity of intent that was so important in ages passed. So perhaps this is Max Reger's time? Why not? We can feel that multiplicity of Reger's musical view quite nicely in the three-CD set String Chamber Music (Verstan VKIK 1617). One volume each is devoted to works for violin (featuring Erich Hobarth), viola (featuring Tatjana Masurenko) and cello (with Peter Bruns). Each volume features a goodly assortment of works--for the instrument unaccompanied, with piano, or in small groupings of strings. As an added bonus the cello volume includes several works by Julius Klengel, a cellist and close associate of Reger. They enhance the program. The soloists are excellent, as are their collaborators. A close listen to the contents of this boxed set will open up the string-oriented chamber worlds of Reger and give you a bird's-eye view of the best of his output in this realm. It is music to savor, showing a restless beauty and a rather exceptional musical mind at work. 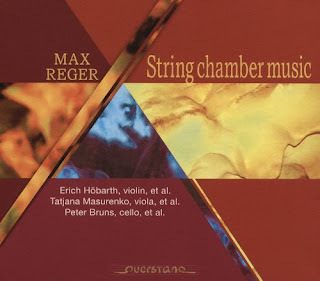 It is a great introduction to chamber Reger. I am very glad to have it and I think you will be, too. Programs that pit one or more of Bach's suites for solo strings with modern works that assimilate or forward Bach's ideas or influence into today are not uncommon. I've covered a few on these pages. 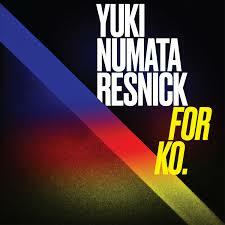 Enter Yuki Numata Resnick and her For Ko (Innova 951). 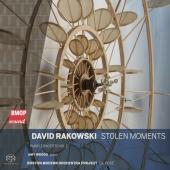 In essence it is Resnick's continuation of what she has been doing in concerts since 2007. The combination of Bach solo and related modern works takes form here via a fine performance of Bach's "Violin Partita No. 1 in B Minor" interspersed with modern works by Caleb Burnhans ("Remembrance"), Clara Iannotta ("Dead Wasps in the Jam-Jar"), Matt Marks ("Trunket's Saraband"), and Andrew Greenwald ("Bouree"). The contemporary works play upon the physical-experiential presence of Bach's work against contrasting note and sound colors in abstractio to less radical transformations and even a short-story recitation interspersed with violin interjections related to Bach ("Trunket's Saraband"). Resnick's dedicated, resonant reading of Bach is quite beautiful. The contemporary sojourns and their varying degrees of distance from the Partita serve to situate the music both in the present and in the past. It is a well-played and provocative resituating of Bach. A few plays will gradually draw you into an enchanted world that spans the centuries. 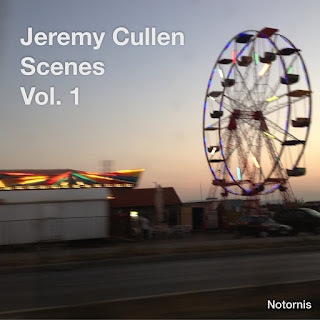 Electroacoustic music these days comes in many forms, from the hyperstructured formalist sort that shows a rigor of concept to the more intuitive, improvisational. Today's two-CD set by Neil Rolnick veers more toward the latter pole. 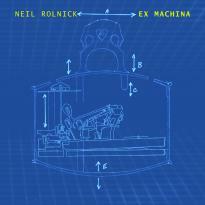 Ex Machina (Innova 950) showcases five works that delight in the tranformation of recorded instruments and vocals without losing sight of the idea that the finished product is something deliberately composed. "Silicon Breath" features sax improvisations by Ted Nash that are subjected in real-time to electronic transformations by Neil on the laptop. "Wake Up" is based on samples of the Everly Brothers' iconic recordings of "Wake Up, Little Suzie" and "All I Have to Do is Dream." The special sound of the acoustic guitars and the brothers' vocal style remains intact as Neil subjects snippets to re-harmonization and rhythmic permutations that gradually become rather uncanny in their scope. "O Brother!" takes his brother Peter's rendition of "Shady Grove" and other traditional folk tunes sung and played on the banjo and subjects them to elaborate permutations with a constant kind of dialectic between tape source and degrees of transformation. "Cello ex Machina" gives cellist Ashley Bathgate the chance to compose a kind of orchestral transformation of her cello by manipulating the sounds via laptop in real time. "Dynamic RAM & Concert Grand" puts Katheen Supove through some exacting pianistic paces which fit into a groove and are at the same time diced and rearranged by Rolnick's computer manipulations. In the end we have a set of electroacoustic tapestries that have an immediacy and ever-permutating spontaneity that are rather at a remove from the music-in-laboratory feel of much of the first electronic music works. Here there is a real-time, performative ethos that is as playful as it is serious. Just as the splicing of tape and careful filtering and rearranging that the first electronic works operated within was not a guarantee of worth, so today the various methods and softwares that allow live transformations via a laptop do not automatically create musical value. That of course comes from the creative imaginations of composer and performers. It is Neil Rolnick and his collaborators that make this program very worthwhile, in the end. And for that reason I do recommend that all with an interest in electroacoustics hear this. It is fun and serious at the same time! Kudos! Perhaps it is hard to believe that 100 years ago Charles Villiers Stanford (1852-1924) was celebrated in England as one of the leading lights, especially for his choral works. Today he is not known as well as perhaps he might be. 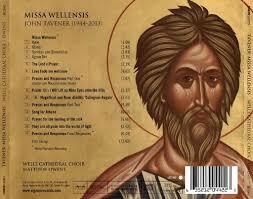 We have a chance to consider three of his landmark works in the genre on the Naxos (8.573512) album Choral Music. The Bach Choir and Bournemouth Symphony Orchestra under David Hill plus four effective vocal soloists give us spirited readings. The ambitious "Sabat Mater - Symphonic Cantata, Op. 96" (1906) heads the program with a long multi-movement work of symphonic depth. Choral dramatics with a late romantic flourish alternate with post-Wagnerian symphonic interludes. It is a satisfying journey through alternately elating and dramatically poignant supplications surrounding the lamentations of Mary and the resurrection of Jesus Christ. The finale is breathtaking. The "Song to the Soul, Op. 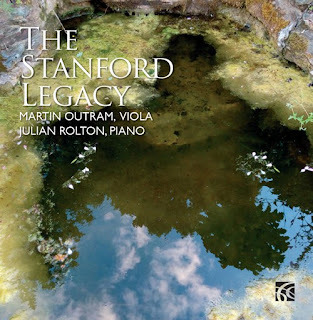 97b" (1913) went unperformed during Stanford's lifetime. It is a unified setting of two Walt Whitman poems out of the three he had initially adopted in 1906 for his "Songs of Faith." The work begins mysteriously with the orchestra fanning out a searching theme, then segues to a largo that beautifully provides the backdrop for the sopranos' entrance. On from there it goes lyrically into the setting of the two poems. Tender and jubilant passages alternate in effective ways. 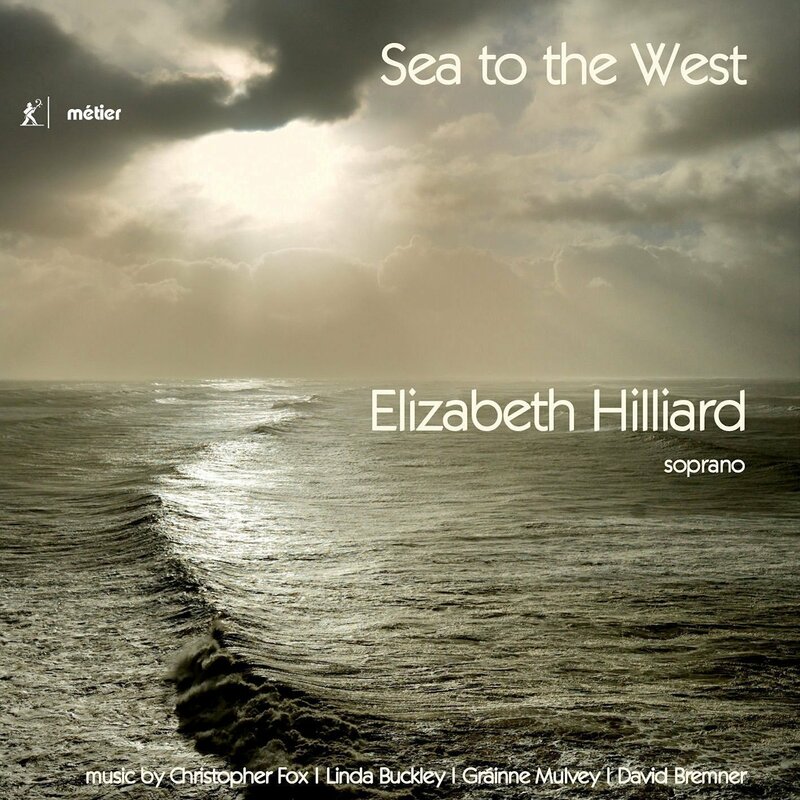 You can hear in this work especially his relation to Elgar and Vaughan Williams stylistically, in the one a contemporary, in the other something of a precursor. "The Resurrection" (1875) was one of Stanford's first major works, undertaken initially while studying with Carl Reinecke, then later revised somewhat. 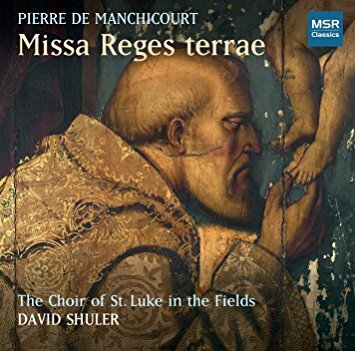 It is a rapturous opus, nicely orchestrated and filled with choral sublimities. The performances are excellent; the works substantial and will no doubt appeal to Anglophiles with a penchant for Elgar and Vaughan William's choral works. Stanford convinces as an inventive late romanticist with a special flair for the choral. Recommended. Throughout our present era, before his passing in 2014, Giorgio Gaslini has been one of the foremost European jazz composers and bandleaders on the scene. He was ever the rich source of unending good musical ideas, creating a body of recordings that were simultaneously avant garde and vividly communicating. What is less known is his new music classical works, which we get an impressive sample of on the recording Murales Promenade (Stradivarius 37038), featuring Alfonso Alberti in the role of piano soloist, with Yoichi Sugiyama conducting the Haydn Orchestra of Bolzano and Trento. Two major concerted works are the center of the program: the brash yet lyrical "Murales Promenade" (2008) and the "Concerto for Piano and Orchestra" (2013). Both have at times some fiendishly difficult piano parts handled very well by Alberti. These are ultra-modern works with a whiff of avant jazz lurking in the inner workings of the music, especially in the piano parts. There is a rhythmic vitality not surprising coming from Gaslini, and thematic dynamics in both a dramatic series of andantes and some introspective adagios. A ten-minute palate cleanser is given us between the bookend concertos by means of the "Adagio is Beautiful" (1998) work for strings. Whether or not you are familiar with his jazz recordings, this volume comes through with harmonically rich, lushly modern pieces that hold up after a number of hearings and reveal themselves bit-by-bit thanks to excellent performances from all concerned. It is a winner on all counts. Gaslini fans and modernists will take readily to this music. Encore! When you look back at the making of the United States, the truth is that all citizens, either in their own experience or that of their ancestors, came from somewhere else, even the Native Americans. The universality of immigration is a social fact. It is fitting that the tale of such an epic journey be told in music. In this case we have the story of composer Philip Henderson's father and his sojourn from Kent, England to New York City in the 1930s. 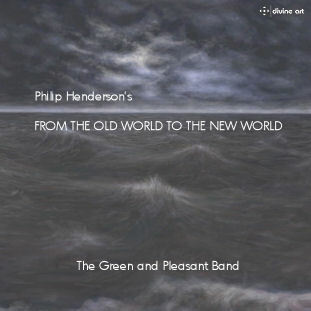 All takes place in the multi-part suite From the Old World to the New World (Divine Art 25141), as performed by the chamber orchestra The Green and Pleasant Band with soloists and vocalists. It follows the protagonist's origins in rural England, the magic of the woods, the fateful sea voyage and the new life in America. The music has a kind of folk-like archaicism in parts, a post-modern down-to-earth quality and ultimately a couple of defining songs, especially "New York Sing Me!" as done by Pia Sukana and, perhaps a bit more show tune-like than I was expecting to hear, "Play Broadway!" by Paul Baker. Aside from the latter the suite pulls together music of enchantment, lyric effusions that wear quite well from listen to listen. Philip Henderson gives us something unexpected, original and filled with homespun charm. It is easy on the ears yet singular enough to gain and keep the attention of the more musically demanding among us. Bravo! Fernando Sor (1778-1839) was one of the founding fathers of modern classical guitar. 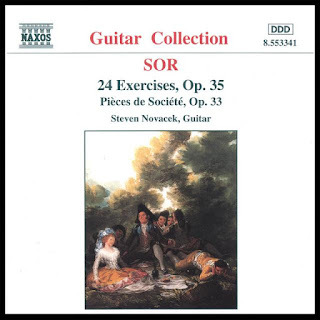 We can hear his essentialist grasp of modern finger technique and post-contrapuntal homophony and polyphony on the Steven Novacek recording of 24 Exercises and Pieces de Societe (Naxos 8.553341). This is music more spirited and jaunty than profound, in keeping with the social role of the guitar in court society and the bourgeois parlor. The Pieces de Societe and 24 Exercises are filled with attractive melodies, dance forms, marches and the like, with the pedagogical emphasis on a solid grounding in technique for the instruction of the dilettante, though the former set makes some substantial technical demands on the player that might have been beyond many amateurs then. The music is filled with delight and charm which transcends the merely instructive and speaks to us directly as memorable, refreshing musical moments that sing out to us in the very capable hands of Steven Novacek. The sound is bright, the playing perfectly marvelous and the music bubbling over with good humor and zest. This is a real treat, a break from heavy fare, in every way a good listen. Recommended! When people hear the name Bruno Walter (1876-1962), they most likely think of him as one of the greatest conductors of last century. Perhaps they know that he started out as Mahler's conducting protege at the Vienna Opera. Most of us are unfamiliar with Walter the composer. That is understandable, since his output was not vast and was largely confined to his Vienna period. Now we can hear some of what he was up to on a new volume of chamber works, showcasing his Piano Quintet and Violin Sonata (Naxos 8.573351), written in 1904 and 1908, respectively. 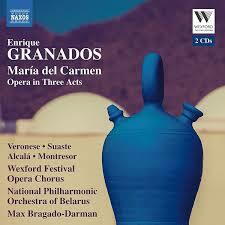 These are highly dramatic, bravura, complex, late romantic works with plenty of chromaticism and thematic density. They do not sound all that Mahlerian, do sound slightly Straussian on occasion, but mostly sound singularly Walterian while also being very much of their times. 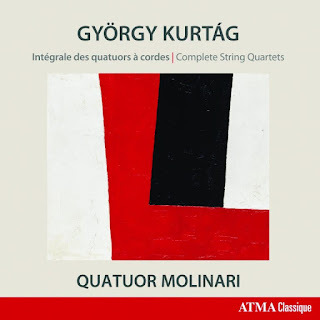 They in the end get your ears motivated to follow, as each movement in both cases travels rather far into the expressive zones of the proto-modern in ways that show a fruitful musical imagination and a very accomplished craftsmanship in play. Helping us appreciate the music a good deal is the performances of those involved: Exaterina Frolova on violin and Mari Sato on piano for the sonata; Patrick Vida and Lydia Peherstorfer on violins, Sybille Hausle on viola, Stefanie Huber on cello, and Le Liu on piano for the quintet. All have delved deeply into the scores at hand and have come up with fully satisfying performances, expressive more than sentimental, dynamic in all the right ways. The music is weighty and deep. Is Walter an undiscovered great of his era? Not precisely, or not from the evidence of these two works alone. But certainly he was a composer of great promise. All is the pity he did not continue. What we have here, though, is well worth hearing. It will be a nice addition to your early 20th century chamber music collection, especially for those interested in the extraordinarily fertile post-fin de siecle Vienna music scene. Russia had prevailed over Germany when Prokofiev began composing his Sixth Symphony. His Fifth had, as much as Prokofiev could do that sort of thing, been a patriotic flourish anticipating a Russian victory during its darkest hours. It was a score celebrated then and still looked upon as one of his best. The Sixth did not contain much of the huzzahs Stalin expected to hear. It is much more gloomy, in fact. No wonder, since the carnage had been enormous, the battles brutal, and the aftermath not encouraging to one seeking artistic freedom. It never received the popularity in Russia or abroad as did the Fifth. Yet the Symphony No. 6 (1945-47), as we can hear beautifully performed by Marin Alsop and the Sao Paulo Symphony as Naxos 8.573518, is one of Prokofiev's most characteristic works, touchingly bitter-sweet, filled with that thematic brilliance of line that was so originally Prokofiev's, stirring, melancholy, agitated and in the end filled with a lyric somberness especially poignant. In the hands of Alsop and Sao Paulo you hear it as a major work, complete, ravishing. situations in dramatic denouements from "Cinderella," "War and Peace" and "Lermontov." It is Prokofiev at his best and Allsop finds just the right balance between the beautiful and the grotesque. So this is a very worthy volume--Prokofiev in sublimity and despair, Allsop encouraging her orchestral colleagues to give performances that rival the very best. Outstanding! The Spohr (1784-1859) symphonies series (originally released on Marco Polo in the '90s) continues to come out on Naxos. We are up to, I believe, the third volume, with a coupling of Symphonies Nos. 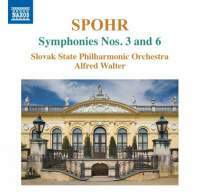 3 and 6 (Naxos 8.555533), again with the very capable team of the Slovak State Philharmonic Orchestra under Alfred Walter. The Third contrasts nicely with the Sixth. As the liner notes tell us, Spohr at the time of the Third (1828) was at the height of domestic and professional fulfillment, with a beloved wife and a solid reputation as a composer seemingly destined to carry on in the wake of Mozart, Haydn and Beethoven. 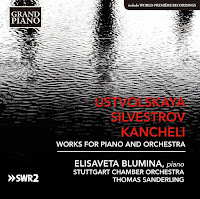 The Third reflects a confidence and a mastery of a man sure of his powers and direction, with four impressive movements filled with inventive thematic material and a masterful handling of the orchestra. By the time of the Sixth (1839), he had lost his wife and daughter to illness. The revival of early music had flowered, especially in the figures of Bach and Handel, and Spohr set about in the Sixth to reflect on the influences of past masters on his own outlook, at the same time perhaps looking back to a happier time in his life. So there are movements showing style influences of Bach and Handel (the first movement), Haydn-Mozart (the second), Beethoven and the first wave of romanticism (third movement), and then in the final movement a rather bizarre parody of the music of the "very latest period," where Spohr roasts all that he saw as flashy and superficial in his time, for example as the liners tell us, the music of Auber and Adam. It is a kind of musical joke inserted into an otherwise sublime and exquisite score. It puzzled his contemporaries, but listening now we hear the finale and its sarcasm without undue shock. It does not so much mar the symphony as it offers an eccentric, frustrated gesture of despair over the times he lived in as a sort of postlude, perhaps a kind of expression of his state of mind during that period. And in the end neither symphony offers perfection so much as shows us a rich musical mind in fully productive effervescence. These symphonies (and perhaps the sum totality of them as realized by Walter) will awake you to a symphonic master who is much better than his present-day reputation would indicate. 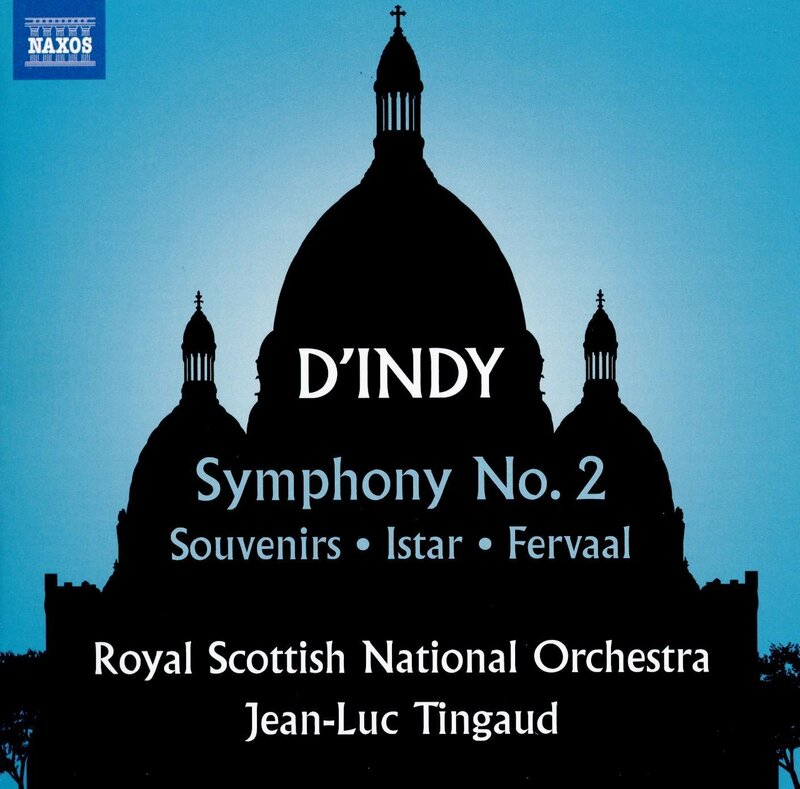 The coupling of Symphonies Three and Six is especially attractive as are the performances. If you wonder about Spohr this is a great volume to begin an exploration-expedition. 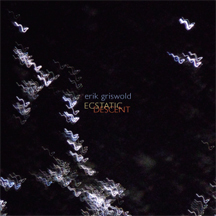 This is tonal, ambient, post-modern, post-Satieian music of lyrical charm and substance. It is not a nostalgic glance backward as much as a step forward in a historically aware, radically tonal vein. I find this one stimulating and pleasing. I recommend it to you. Richard Danielpour (b. 1956): like many others I have appreciated his music in the last decades. 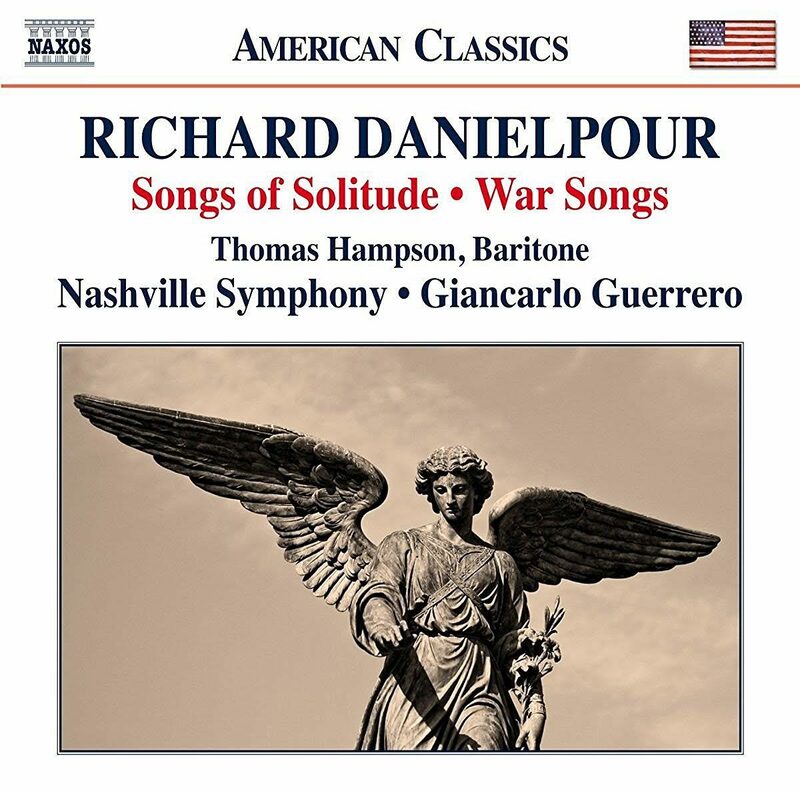 His recent album Songs of Solitude / War Songs (Naxos 8.559772), a set of poetic soliloquies, two song cycles for baritone (Thomas Hampson) and orchestra (Nashville Symphony under Giancarlo Guerrero), stands out as especially memorable and lucid. "Songs of Solitude" (2002) was written in response to the anguish the composer experienced in the wake of 9-11. It is based on poems of W.B. Yeats. The music like its counterpart here has a sort of genetic lineal relationship to Hindemith's important song cycle "When Lilacs Last in Dooryard Bloomed," which set Whitman poems on the death of Lincoln to mourn the demise of FDR. Like that work there is a lucid orchestral backdrop that responds to the vocal strains. The music is in no way derivative, however. Both vocal line and orchestral dialog are singular, alternately resigned and inward looking with dynamically jazzy contrasts that exude with a kind of post-Bernsteinian panache. "War Songs" (2008) continues with a regretful, somber view of war and its aftermath, based on Walt Whitman's Civil War poems. It was commissioned by the Nashville Symphony to mark the 150th anniversary of the end of that war. Like "Solitude" it is filled with marvelously poetic orchestral responses to the moving text and its artful declamation by Hampson. As a kind of encore we get the short, lively and upbeat orchestral work "Toward the Splendid City" (1992) which ends the program on a positive note and extends our appreciation of Danielpour's winning orchestrational brilliance. This is vivid music, subtle tonal-modern tour de force expressions, the main works heartfelt reactions to two of the most difficult historical periods in the USA. Performances are exceptionally well-wrought, detailed and strong. The sound is excellent. The music unforgettable. From Albion, a label devoted solely to lesser-known music by Ralph Vaughan Williams (1872-1958), comes the choral extravaganza Fair Child of Beauty (Albion 025/026), a two-CD set bringing us two forms of the work: the first a setting of the poetic narrative by Spenser, Epithalamion, arranged into a masque by Ursula Wood (who was eventually to become Ralph's wife), and a second, oratorio version, all this from 1938-39. Disk one contains "The Bridal Day," the masque, in its entirety; disk two "Epithalamion," the oratorio version. Each is related to the other as tree to branch, or rather perhaps as twin trunks. Those who know Vaughan William's music well will recognize the pastoral-idyllic-impressionist-folkish element in full flourish, but also something at times of the choral sweep of "A Sea Symphony" and the rustic charm of "Hugh the Drover." It is music of beauty and triumph, of timelessness, fully worthy of close listening. 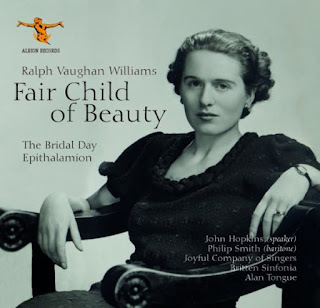 John Hopkins in the role of speaker in "Bridal Day," baritone Philip Smith, the Joyful Company of Singers under Peter Broadbent, and the Britten Sinfonia under Alan Tongue give the two variant works a joyful radiance as Vaughan Williams no doubt envisioned. It is music any Vaughan Williams aficionado will doubtless welcome as I do. Anyone seeking to unravel the English musical resurgence of the first half of last century will find this instructive as well as very pleasurable. As the world turns around us, new music is ever appearing, thankfully. 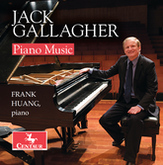 Today it is the Piano Music (Centaur 3522) of Jack Gallagher. 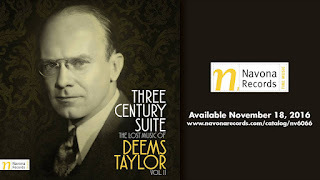 We have encountered his music fruitfully with the release of his orchestral music on several Naxos disks a while back (type his name in the index box for my review of his "Symphony No.2"). The orchestral disks showed a fine musical mind at work. 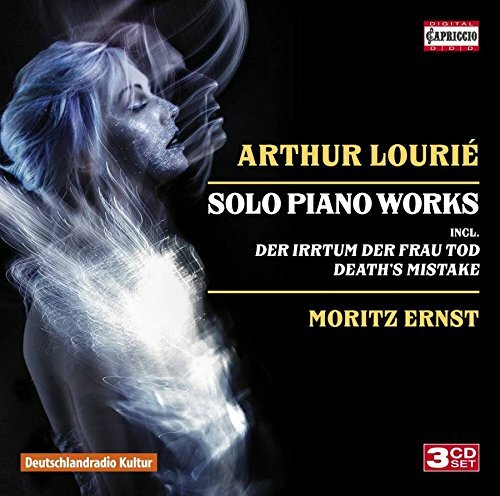 This new release gives us another side of the composer, pairing down to the basics: his rather brilliant inventive faculties, a first-rate pianoforte, and the formidable interpretive pianism of Frank Huang. 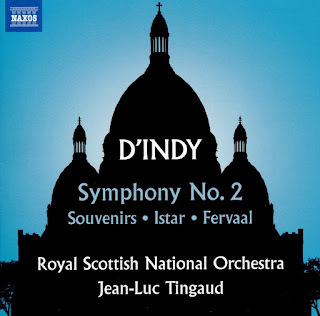 Listening the first time, you may hear a lineage connection with Hindemith now and again, in the advanced harmonic-tonal restlessness, the beautiful juxtapositions of a kind of pan-diatonic, pan-chromatic structural profundity. But Jack goes further into what is a very modern, even jazz-influenced territory of voicings in fourths and fifths, with sometimes brittle and other times flowing edgy lyric qualities. The ambitious "Sonata for Piano" (1973/2005) and "Sonatina for Piano" (1976/1999) at once strike you as extraordinarily music, memorably complex and lucid essays of a post-neo-classical sort. There are further treasures contained in this program, from the "Nocturne" (1976/2008) to the "Six Bagatelles" (1979) through to the spicy "Malambo Nouveau" (2000/2009). 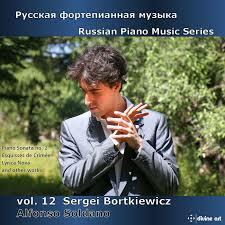 It's exciting, very idiomatic, outstanding piano music. Gallagher is gifted with prescient abilities that make his language very directly communicative yet filled with complexities to satisfy the most exacting of ears. Frank Huang gives us ideal readings. 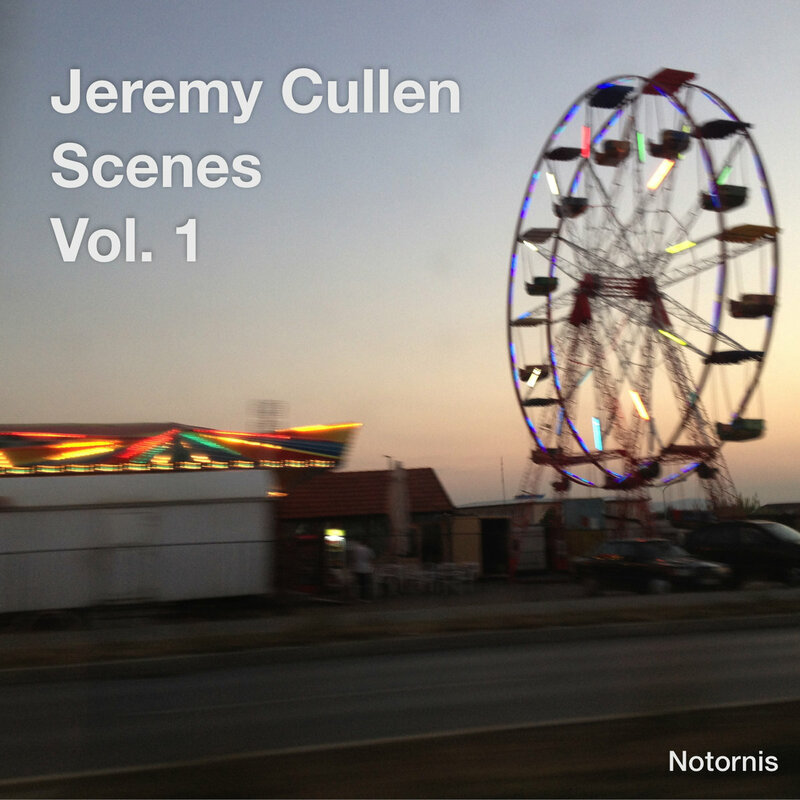 All you who revel in measured and expressive pianistic modernism, search no further. Jack Gallagher provides much to appreciate, to grow into after repeated hearings. There was never any doubt that Mendelssohn's "Violin Concerto" was a towering masterpiece of his era. Robert Schumann's concerto offering met another fate at first. Violin virtuoso Joseph Joachim spurned it. It remained unperformed until 1937, and it was not until Yehudi Menuhin championed it that it became better known. But even today it is relatively unsung. 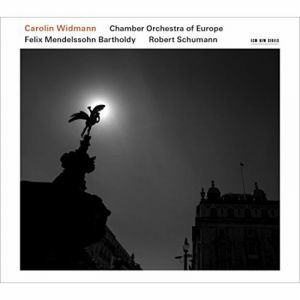 Enter Carolin Widmann and the Chamber Orchestra of Europe with a new recording of both concertos (ECM New Series 2427). 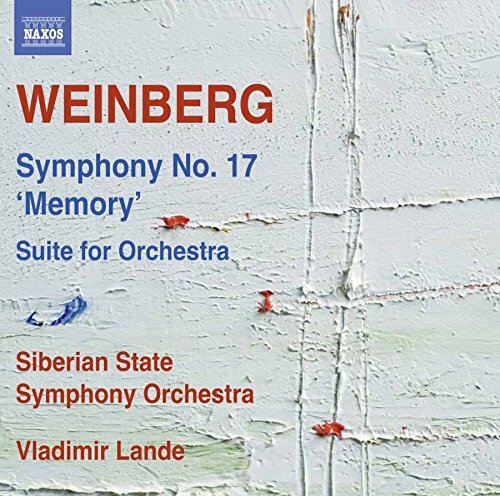 The Mendelssohn gets a sweet and crisp treatment, with attention to the soaring melodies and sweeping scope. Is it as good as the old Heifetz version? No, but it does stand on its own for a well-rounded and thoroughgoing completeness. And then the Schumann. What a surprise! 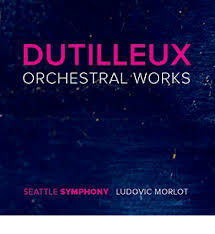 It is thematically and theatrically alive, perhaps not quite as stunning as his "Piano Concerto," but in every way a work to be celebrated, virtually a "lost" Schumann masterpiece. Perhaps Joachim was expecting more virtuoso fireworks? In the end you don't miss them because you get the gloriously searching Schumann mysterioso touch. Widmann and orchestra make it all ring true. They give it a fully majestic realization, fully sounding out, first-rate Schumann all the way. 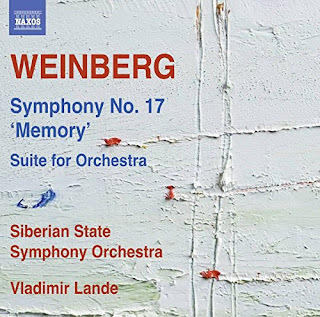 So even if you have the Mendelssohn, this recording will give you a contrasting view. The Schumann, though, is a revelation. It will bring joy to all Schumann fans, all seeking something unheard and ravishing. Widmann gives it her all. Bravo! Today's album starts with a good idea and then goes places with it. 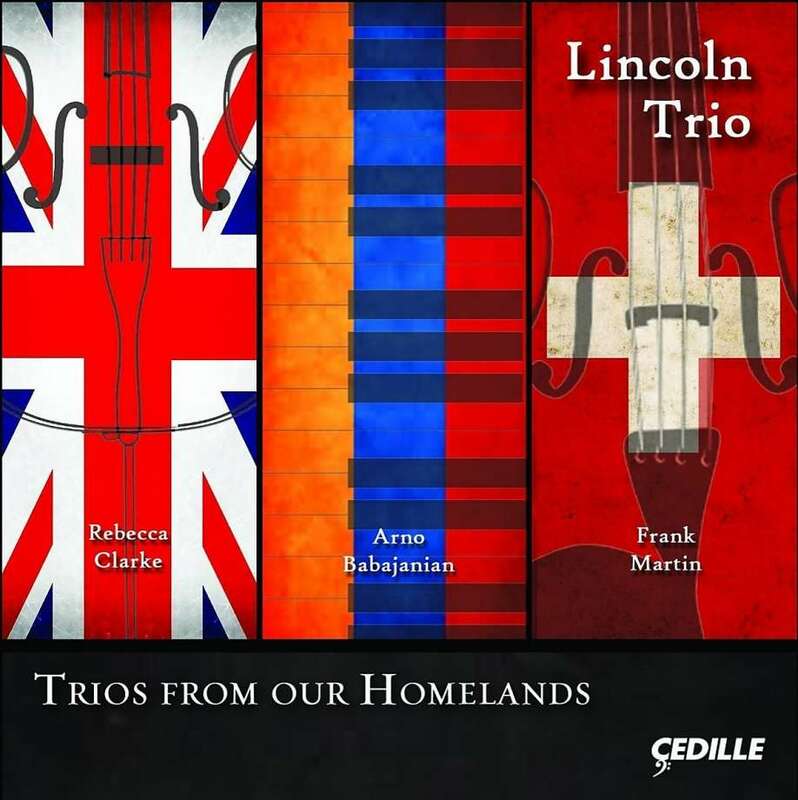 The Lincoln Trio each chose a composer from their respective ancestral home, then selected an appropriate trio by that composer. 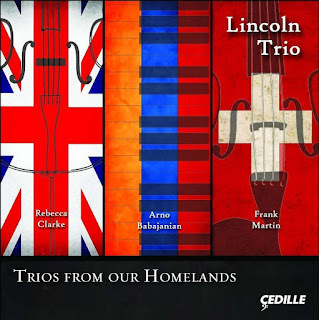 The result is Trios from Our Homelands (Cedille 90000 165), a highly worthwhile venture into relatively uncharted territory, with an exciting set of performances, highly expressive and edgy to suit the dynamic scores at hand. 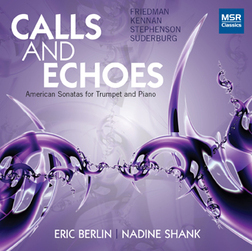 We get English native Rebecca Clarke and her "Trio for Violin, violoncello and piano," Armenian Arno Babajanian's "Piano Trio in F-Sharp Minor," and Swiss national Frank Martin and his "Trio sur des melodies populaires irlandaises." The resultant program gives us three relatively unknown works with the complexities and fullness of the best in modern chamber expression, with a post-romantic, neo-classical attention to structure and depth of feeling. Based on this fine program I would say that the Lincoln Trio is among the elite of such outfits playing today, capable of extraordinary levels of nuance and detail, filled with admirable sympathy and devotion to the works here presented. 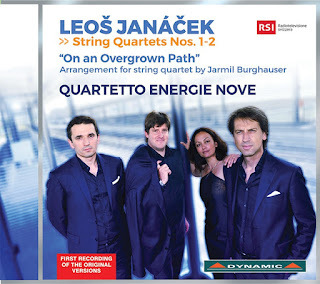 If you are looking for modern chamber music somewhat off the beaten path, played with care and spirit by a top-notch piano trio, you will be well-served by this volume. 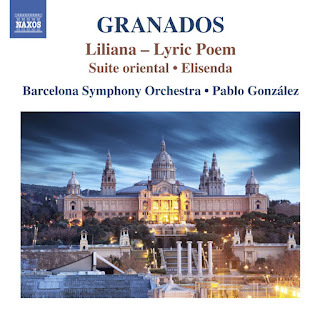 We consider today the third volume of Granados orchestral works by Pablo Gonzalez and the Barcelona Symphony Orchestra: Liliana - Lyric Poem, Suite Oriental and Elisenda (Naxos 8.573265). We are encountering works that are rather obscure, at least in the States. "Liliana" (as arranged by Pablo Casals) (1911/21) and "Suite oriental" (1888-89) are heard in their world premiere recordings. "Elisenda" (1912) is heard in its critical edition by Douglas Riva. 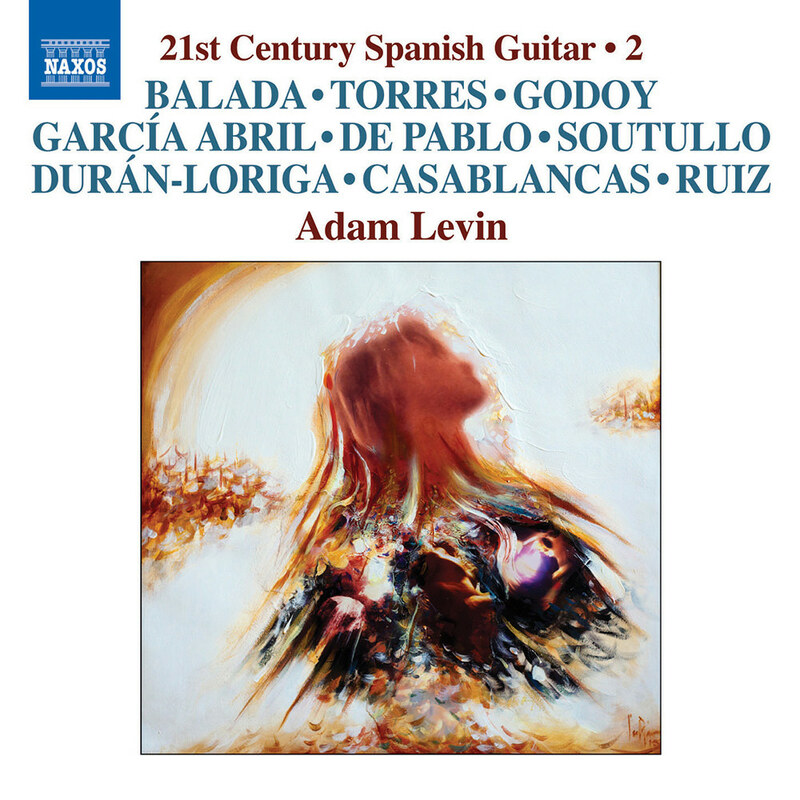 The melodic memorability, impressionist palette and Spanish folk touch are nicely present here in varying degrees. Not all of it is exactly "nationalist" but it is all well done. This is music to grow into, not something that will overawe on first hearing but with a pronounced Granada fingerprint for those who know his more familiar music, and filled with pleasurable, evocative strains for those who don't. 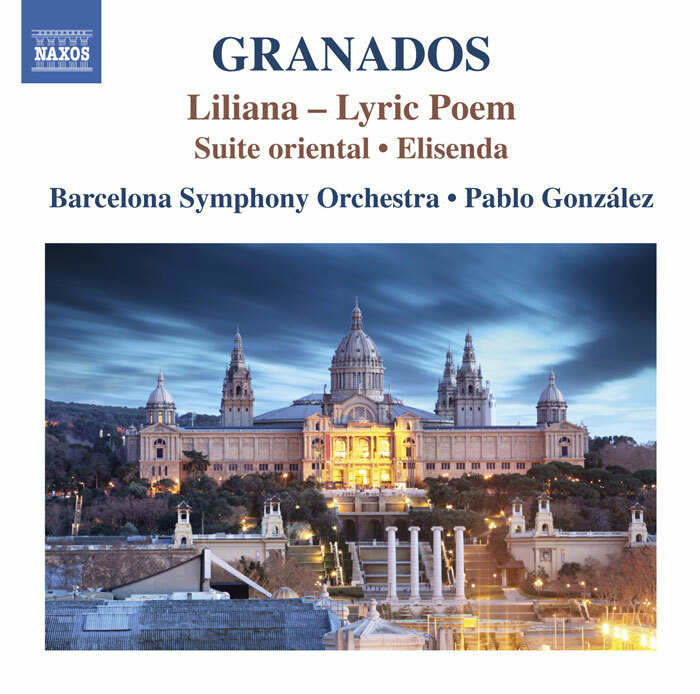 Gonzalez and the Barcelona Symphony give bright, effective readings. Recommended for a better appreciation of Granados' oeuvre and for those who happily traverse the Spanish-Euro impressionist scene in the early years of last century. We have at hand three brilliant orchestral works played with spirit by the National Orchestral Institute Philharmonic under David Alan Miller. All three works hail from last century and embrace a modern tonal approach but without anything formulaic about them. Aaron Copland's "Appalachian Spring" (1945) Ballet Suite is a quintessentially inimitable treatment of the Shaker Hymn "Simple Gifts" along with fiddle tune harmonies and a beautiful lyrical demeanor. This is a very serviceable, cleanly direct reading of a work of huge appeal and very Coplandian treatment. 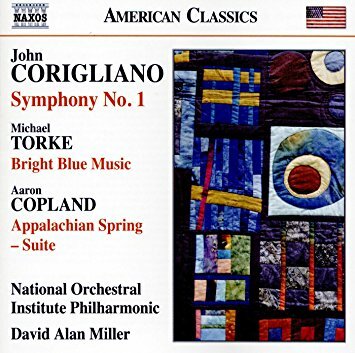 John Corigliano's breakthrough "First Symphony" (1989) combines lyrical appeal with briskly modern spiciness, all within a brilliantly orchestrated four movement structure. Michael Torke's "Bright Blue Music" (1985) translates the personal color associations of the composer onto a dynamic musical canvas, bright and bubbling over with spirit. 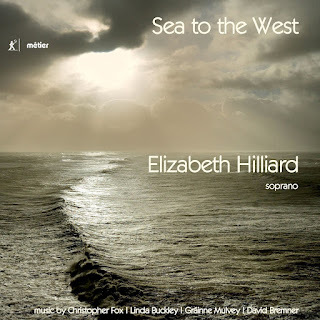 The inclusion of three important modern scores well played gives this album an edge and satisfying fullness that should make of it a very attractive listen for those who would like something moving in the modern tonal zone. The orchestra and Miller give everything an excellent spin. You cannot go wrong at the Naxos price. I have been getting familiar of late with the music of Micheal Finnissy, and I am glad of it. 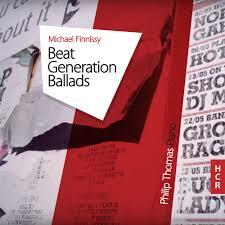 His Beat Generation Ballads (Huddersfield Contemporary Records HCR 11) is a great example, with recent solo piano works played well by Phillip Thomas. High modernist scatter-splatter dynamics alternate with more ruminative balladry on the two suites represented on this album, "First Political Agenda" (1989-2006), and "Beat Generation Ballads" (2014). As Phillip Thomas puts it in the liners, Michael's music is often directed towards social and political developments, especially surrounding those of the downtrodden, disadvantaged, and disenfranchised. A tendency toward non-traditional flows are often the case, as you can hear in some nicely jarring, abrupt quiet-to-intensively-dense transitions. Both suites have substance and are not easy to play. Thomas has mastered them and brings us the full spectrum of tonal-to-atonal, pianissimo to fortissimo shifts. This is the music of the high modern now, the present beyond the absence. If you are a sensitive follower of the very new, I cannot but believe that you will respond to this one with interest and pleasure. Viva Michael Finnissy! 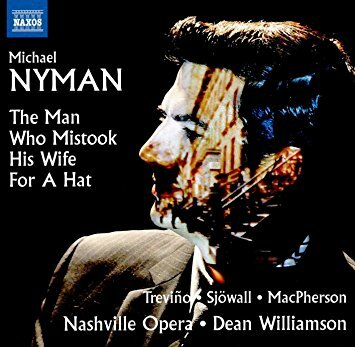 Michael Nyman, The Man Who Mistook His Wife For A Hat, Nashville Opera, Trevino, Williamson, etc. I first read neurologist Oliver Sacks' The Man Who Mistook His Wife For A Hat when I was working for Scientific American (Books) in the later '80s. 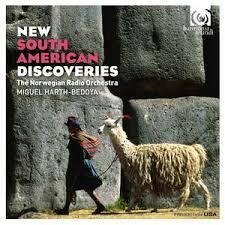 Michael Nyman's opera in world premiere CD followed soon after and I was impressed with Michael's treatment. So-called minimalism in music reigned and Nyman managed to come up with his own version and simultaneously to move beyond it. His treatment of the Sacks case study captured the wonder and trauma of the man who had acute neurological impairments that gave him severe problems recognizing images--which in turn resulted in incredible mis-recognitions. Time passes on and we now find ourselves with a new recording of the chamber opera by the Nashville Opera under Dean Williamson. The three principals Matthew Trevino, Rebecca Sjowall and Ryan MacPherson do a great job realizing the roles and the chamber orchestra fills out the score with zest and brio. It is a milestone work in its first recording. The new Nashville Opera version virtually matches and even surpasses it at times. 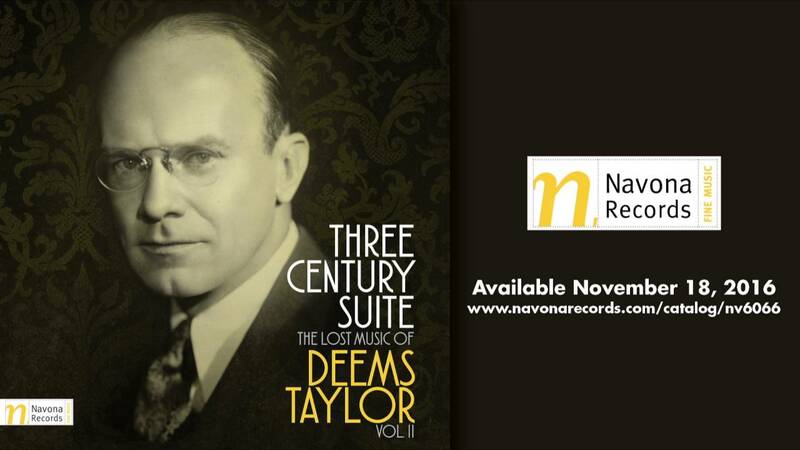 Nyman fans should have both versions; others will find the Naxos release satisfying and moving. It is an opera of startling dimensions and superior musical content, as exciting as it is humane. It somehow captures what it is to be human by addressing a tragic lack.